Kawhi Leonard’s free agency is slowly approaching and his decision could ultimately make or break the Toronto Raptors. Right now, the team has fallen in second place of the Eastern Conference standings, although they’re still doing quite well on the overall scheme of things. The Raptors are currently enjoying a three-win streak right now having defeated the Sacramento Kings 120-105. This is despite the fact that Kawhi Leonard sat throughout the game. And he will continue to do so when the Raptors face the Indiana Pacers tomorrow, said Toronto Raptors NBA Beat Reporter Josh Lewenberg. As for Kawhi Leonard’s decision, the two-time Defensive Player of the Year remains taciturn about the matter. This isn’t surprising given the 27-year-old’s overall demeanor. 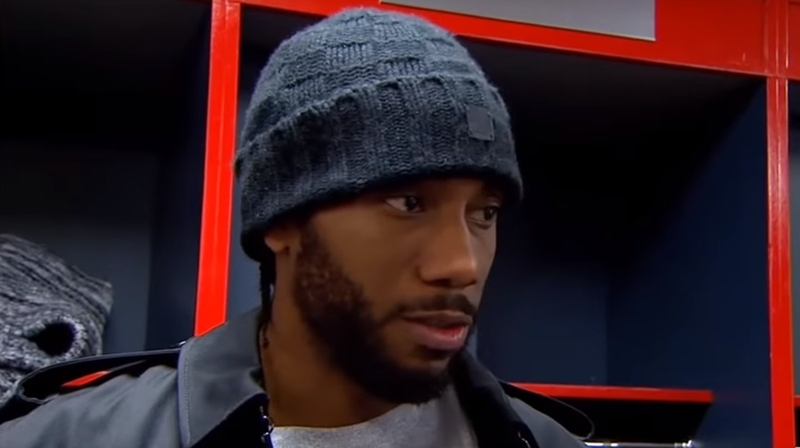 However, sports columnist Adrian “Woj” Wojnarowski said that it’s likely that Leonard will not stay with the Raptors. “They can’t change the geography; they can’t change the weather in Toronto. Those were always things against them in this. Home and L.A. has been the focus for Kawhi Leonard through all of this,” Woj claims. American sportswriter Zach Lowe agrees and offered that the Los Angeles Lakers will not be Kawhi Leonard’s choice when he finally decides to move. Woj contends that the most probable candidate will be the Los Angeles Clippers, Lakers Nation reported. Of course, this is but speculation at this point and the decision will ultimately come from Kawhi Leonard himself. So far, the Raptors have been careful in handling the talented forward and hasn’t given him cause to be upset about the organization. They have even hired one of Kawhi Leonard’s closest friend, Jeremy Castleberry, to be the roster’s player development coach. As for when The Claw will return on the court, Coach Nick Nurse said that he’ll be playing against the Houston, Rockets this coming Friday. With the free agency starting on July 1, the media will undoubtedly fan this narrative again and it would be interesting to see if Woj and Lowe’s prediction holds true.